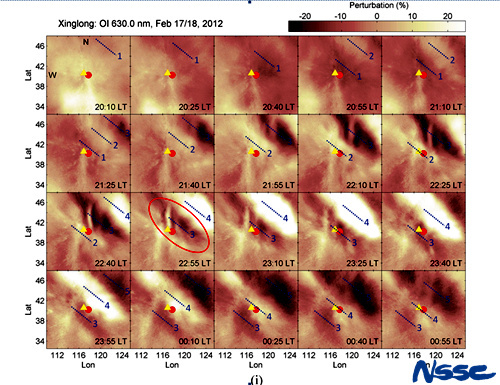 论文：Longchang Sun, Jiyao Xu, Wenbin Wang, Xinan Yue, Wei Yuan, Baiqi Ning, Donghe Zhang, and F. C. de Meneses (2015), Mesoscale field-aligned irregularity structures (FAIs) of airglow associated with medium-scale traveling ionospheric disturbances (MSTIDs), J. Geophys. Res. Space Physics, 120, doi:10.1002/2014JA020944.